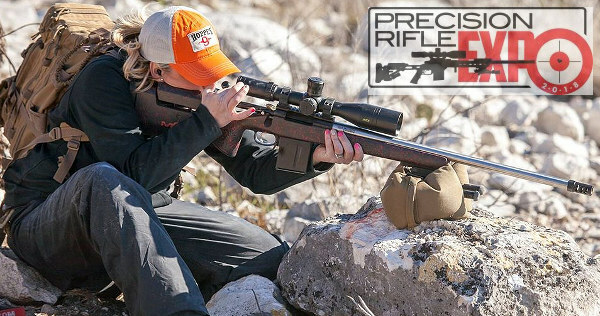 The Precision Rifle Series (PRS) keeps growing in popularity — attracting more shooters and spinning off sub-disciplines such as Gas Gun division and Tactical Rimfire. Along with the PRS, the National Rifle League (NRL) has developed in parallel, sponsoring successful tactical centerfire and rimfire matches. 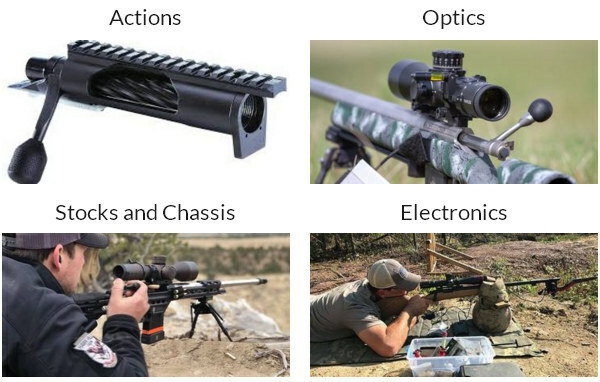 With this exploding interest in PRS-style shooting, now the Precision Rifle world has its own annual “gathering of the faithful” — the Precision Rifle Expo. The First Annual Precision Rifle Expo will be held September 15-16, 2018 at the Arena Training Facility in Blakely, Georgia. The event is specifically designed to connect precision rifle enthusiasts with top manufacturers, precision rifle instructors, and ace competitors. The goal is to promote this fast-growing shooting sport and advance the skill set of attendees. 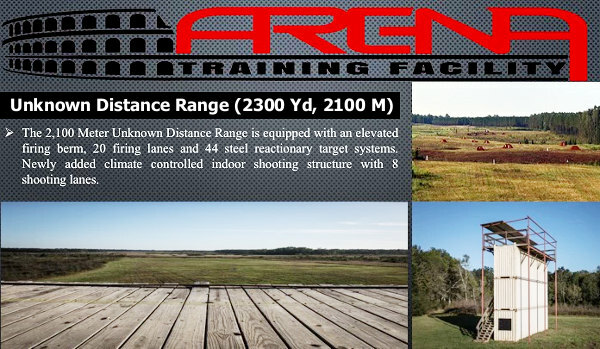 To register for the event ($25 fee), or learn more about the Arena Training facility visit PrecisionRifleExpo.com. Get Expo updates on the Precision Rifle Expo Facebook Page. The 2300-acre Arena Training Facility is a premier shooting facility with multiple shooting ranges from 50m to 2100m. Arena’s 1000-yard covered Known Distance range offers multiple benches, steel and paper targets out to 1000 yards. On Arena’s UKD (unknown distance) range shooters can engage steel out to 2300 yards. This 2100m UKD range boasts a 3-Story Shooting Tower, Air-Conditioned Shoot House, and multiple Positional Challenges. Situated two hours from the Atlanta airport, the Arena complex offers multiple climate-controlled classrooms, a main building, and a clubhouse, along with the impressive range facilities. Precision Rifle Expo attendees will be able to meet industry experts, get hands-on product experience, and attend a variety of shooting seminars — all for a modest $25 entry fee. Seminars will include: Precision Hand-loading, Wind Reading, Position Building, Competition Preparedness, Long Range Precision Shooting Intro, and the Fundamentals of Marksmanship. Live-fire skills training and product demos will include shooting with suppressors, precision rimfire shooting, 1000-yard shooting, and even a one-mile target challenge. Exhibitors will showcase optics, actions, barrels, stocks/chassis systems, complete rifles, suppressors, and the latest in electronics. In addition, targets, ear and eye protection, bags and support equipment, and other accessories will be on display. Along with exhibitors, the first-ever Precision Rifle Expo will attract leading Gun Media members. Sniper’s Hide founder Frank Galli will be there, serving as one of the long distance precision instructors. AccurateShooter.com will have a correspondent. The Precision Rifle Blog will cover the Expo and highlight new products. Recoil Magazine will spotlight the Expo on the web and in print. Interested in attending? Act soon. The inaugural Precision Rifle Expo is expected to sell out early. CLICK HERE to Register. It costs just $25.00 to attend. For more information, visit PrecisionRifleExpo.com. You can also contact Ryan Castle at 912-344-1607, Phil Cashin at 770-401-3572, Brandon Zielinksi at 920-664-3098, or Mark Kuczka at 770-364-7607. 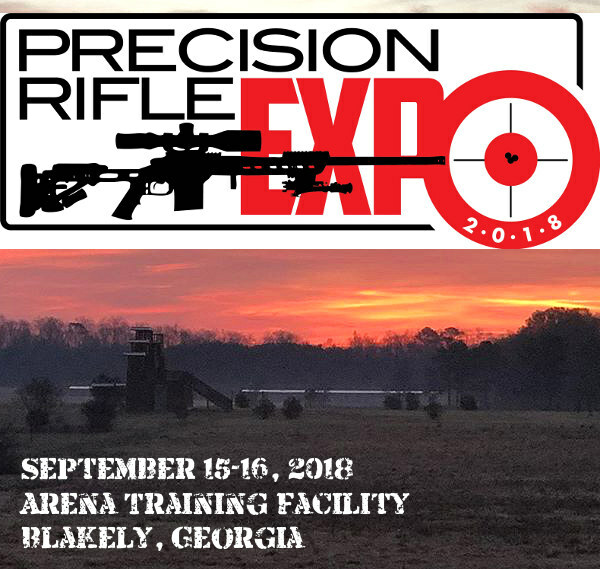 Share the post "First-Ever Precision Rifle Expo — September 15-16 in Georgia"
This is a terrific facility suited to this type of Expo for the public and professions. I have been to a couple of the competitions run by the folks at Arena so I have a working familiarity with the ranges. If you get the opportunity or can make the time, this will be a great experience for both the accomplished shooters and the novices. The seminars are beneficial but it’s the ability to have hands-on experience which can make the weekend worthwhile. No I am not affiliated with Arena or the promoters of this event.